A Small View is open Saturdays and Mondays 1-5pm, or by appointmentThis week’s visit was inspired by two recent discoveries. The first was that A Small View was a place. Before coming across them on Twitter, I’d never heard of it. Obviously I had to check this out at some point, but then the Biennial started taking up my time. 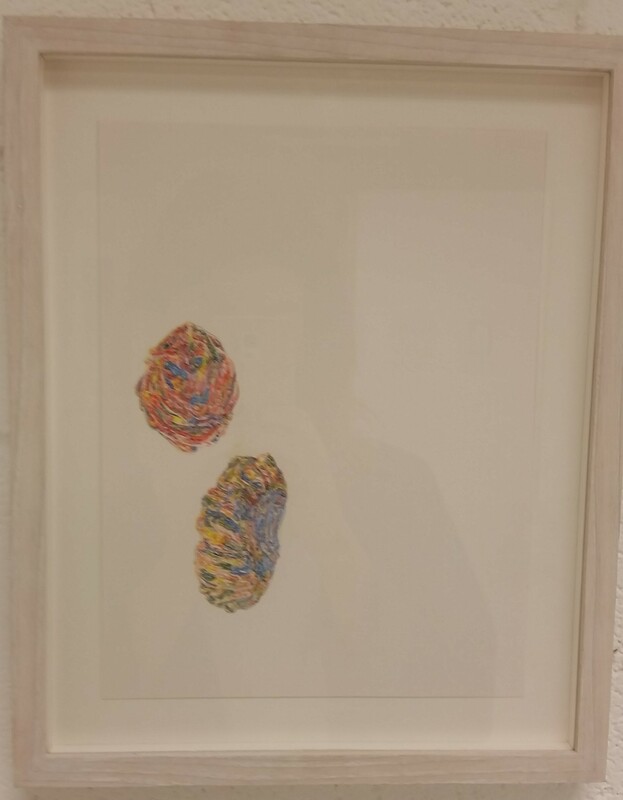 The second was a work by Donal Moloney in the current John Moores Prize show, Cave Floor. It was beautiful, and left me curious to see more of his work. It’s not especially surprising I hadn’t heard of A Small View before. Tucked at the end of a corridor in the Gostins Building on Hanover Street, you wouldn’t come across it unless you were actively seeking it out. It’s a shame that a space for promoting creativity has to be almost hidden, but (I guess) that’s what city centre rents do. The current showcase is of Donal Moloney’s works, and they’re lovely. More than lovely. Here’s my disclaimer: I am deliberately not showing them in full detail here. These need to be seen in the flesh to be appreciated. Displayed in what you would consider a normal-sized frame, against white walls, emphasises the small size of each picture. Which makes the detail and intricacy in each picture pretty incredible. Looki ng at each picture is almost like stepping into a dream. They’re abstract, colourful worlds and you don’t know what they mean – if, indeed, they mean anything – but it feels nice, you like it. You get lost in letting your eyes study each little detail but then when you step back from it and recognise its place, it appears even more unique and special. I think the fact that each picture is so small is more than just a novelty, that actually it really enhances the experience of each work. You have to deliberately focus on each artwork, taking time to notice what’s going on. If you want to create something truly dreamlike and immersive you could go big, fill a room, or go small. Here, small works. Before you step into the focus on the detail, you notice that the works are presented in different forms – some vague shapes floating in a sea of white, some rectangular. I personally preferred the rectangular ones. In the common language of psychedelia, abstract forms are more expected, signifying something unusual. The rectangles are more associated with tradition, so you don’t necessarily guess at what they contain unless you know. 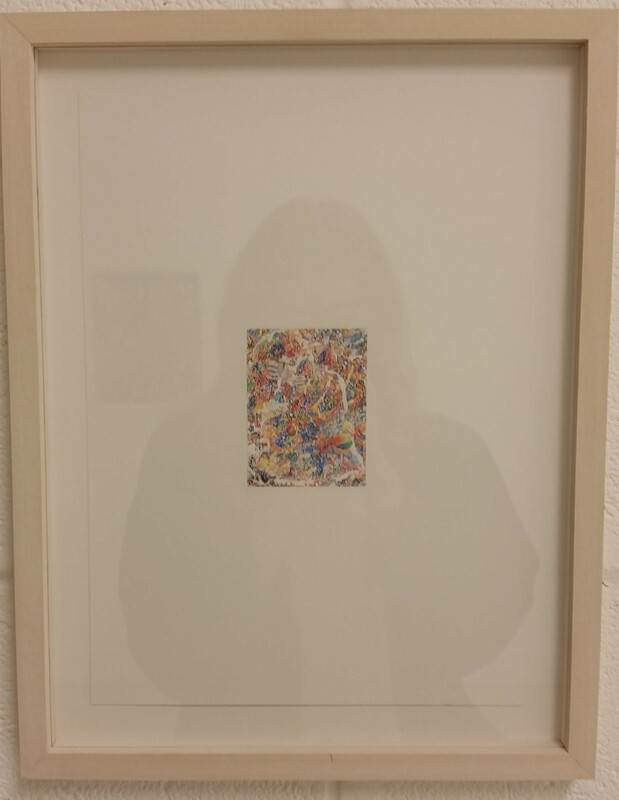 Apparently it takes Moloney 3 months to produce one of these small paper works, and a year to produce a larger work (one of those larger works, Shrines, is also on display here). I can imagine if it was me working on a single project for 3 months I would end up over-working it until it didn’t make any sense. Moloney clearly has more restraint, as each work seems to be pitched with each detail in exactly the right place – 3 months of consideration clearly pays off. They are works that deserve an audience, and A Small View is worth seeking out. This entry was posted in Exhibitions, Home, Past exhibitions and tagged art, culture, dream, Liverpool, painting. Bookmark the permalink.